The nervous system coordinates communication between the brain and the body. The brain, spine, and nerves send messages to and from muscles, ligaments, and organs. These messages contain information for function, healing, and growth. It is important for the expectant mother’s nervous system to function optimally as the baby is developing in the womb. During pregnancy, there can be imbalances in the spine and pelvis that cause the nervous system to not work at 100%. These nervous system interferences are called subluxations. Subluxations can cause strain and tension on the pelvic muscles/ligaments and on the uterus surrounding the baby. This may prevent the developing baby from being able to move freely inside the womb, leading to less than optimal positioning. Subluxations may also cause pain and discomfort for the expectant mother. 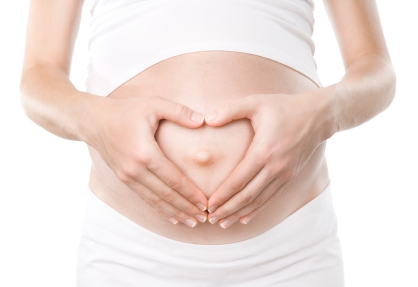 There are many chemical, physical, and emotional changes that pregnant women go through. There are many different processes that occur in the body that need to be modified due to the new addition growing inside of you. Naturally occurring hormonal changes may give you symptoms such as nausea, back pain, or round ligament pain (pain in the front, lower portion of your abdomen). Despite how smooth and painless your pregnancy goes, it is still important to get checked for subluxations to make sure you are expressing 100% of your potential. This gives you a better chance at ease of delivery, less pain during labor and birth, proper positioning of the baby, and much more. For the best birthing experience possible, go the natural route. Your baby will thank you! Is a Chiropractic adjustment safe during pregnancy? Yes! Chiropractic is very safe during pregnancy. There is a chiropractic technique specific for pregnancy called the Webster Technique. The Webster technique is a specific chiropractic adjustment that reduces subluxations, balances pelvic muscles and ligaments and optimizes the mother’s pelvic function in pregnancy and birth. When balance is restored to the mother’s pelvis, her uterus and pelvis function better. This reduces undue stress to moms ligaments and muscles making pregnancy and birth more comfortable. Pelvic balance also allows the optimal space for baby to grow throughout pregnancy and line up in the best possible position for birth. How often should an expectant mother be given a Chiropractic adjustment during pregnancy?